From Publishers Weekly&colon; Working from photographs, Photorealist painter Estes creates images of stuffed store windows and movie marquees that glitter with unreal promise. His bulging car fronts evoke sexual hunger, while his revolving doors ache with anonymity, causing some critics to dub his style "Post-Pop." Empty subway cars and gleaming city streets devoid of people suggest a world where material values have overpowered human beings. 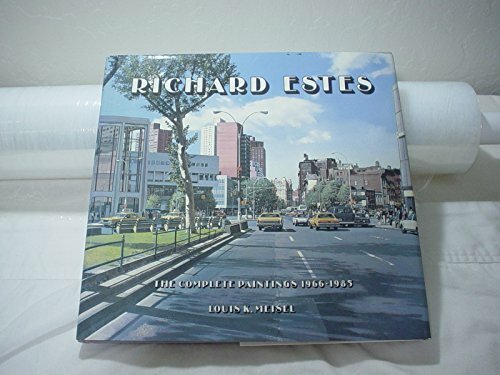 In this laudatory monograph, New York City art dealer Meisel wants us to believe that Estes is a great Realist painter, not to be pigeonholed as a Photorealist, but by emphasizing the paintings' technique over their social meaning, he weakens his argument. When Estes applies his Hyperrealism to vistas of Florence and Venice, the essential sterility of his method becomes evident. At their best, his slick paintings comment on the way the mind's focusing imposes patterns on the way we see things.